For the beginners, making sense of WordPress usage can be quite tricky. People usually find themselves stuck with the questions about uploading themes and plugin from the WordPress dashboard. The WordPress “Dashboard” is the first thing you see when you log into the administration area of your blog. In this tutorial, we will try to teach you the best way of uploading a theme or plugin from Dashboard. Note that this post will assume that you have the desired theme or plugin downloaded, you just need to upload it to the dashboard. From the Appearance panel select Themes. Use the Upload link in the top links row to upload a zipped copy of a theme that you have previously downloaded to your system. Once uploaded, click Activate. Choose a theme available on WordPress. 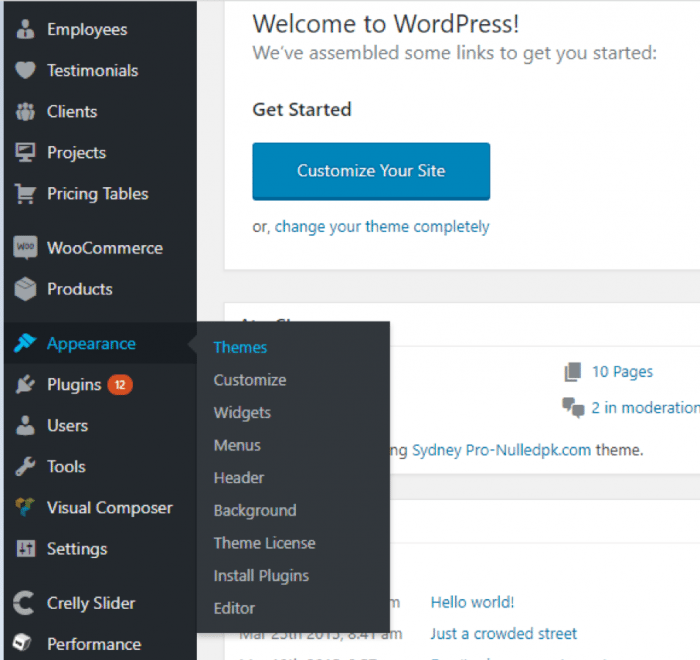 Once you select the theme from WordPress, click Preview to check and then Activate. Select Plugins from the panel. Choose a plugin available from WordPress Repository. Once you select the plugin from WordPress, click Install. Select Upload Plugin and browse your drive to find the .zip file you have already downloaded in your system. Then, click Activate. The above information makes uploading a theme and plugin from dashboard very easy. Go ahead and upload! Thank you for showing how to upload a plugin or theme from the WordPress admin dashboard. This will surely help users who are new to WordPress.